In an alternate near future, single people are forced to find a mate. Failure to do so results in them being turned into animals. 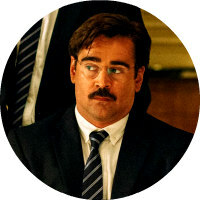 "This brand of humour will prove impenetrable to some, and those lured in from the mainstream by the presence of household names like Farrell and Weisz will likely recoil at the darkness on display, but if you can tune into Lanthimos's nihilistic wavelength, this is a comic treat like few others in recent memory." Single people are often viewed as untrustworthy, somewhat dodgy. If you're a politician, it's practically a requirement for you to be in possession of a significant other should you ever wish to run for office. People are single for two reasons; either they can't find anyone or they bizarrely wish to be alone. If they can't find anyone, surely there must be something seriously wrong with them, and if they consciously choose to spend their life in solitude, they really must be bonkers. But singletons view the coupled with equal disdain. We've all had friends who disappeared into a void upon taking their vows, forbidden from leaving the house, joining in social engagements only when accompanied by an event like the baptism of a child or, heaven forbid, somebody else's bloody wedding. And who in their right mind would want to spend eternity with one person? Yes, the single and the married enjoy outwardly cordial relations, but we really hold each other in contempt. 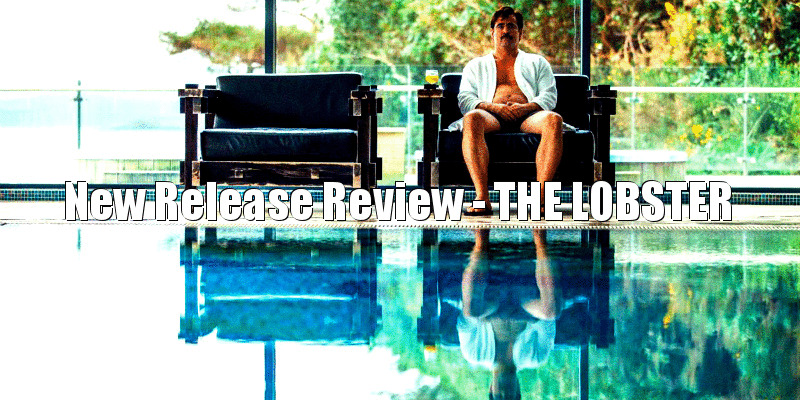 Greek oddball auteur Yorgos Lanthimos examines this cold war through the lens of dystopian sci-fi in his black as coal comedy The Lobster, set in a near future where being single is outlawed. In this world, those who find themselves alone are shipped off to a remote hotel and given 45 days to find a mate among their fellow 'criminals'. Failure to do so results in them being turned into an animal of their choice. David (a larded up Colin Farrell) chooses the titular crustacean. A short-sighted individual, he's just been dumped by his short-sighted lover in favour of another short-sighted man. In Lanthimos' world, hooking up is all about finding someone who shares something in common with you, no matter how trivial. In the movie's most hilarious sequence, David attempts to win the affections of a woman known for being completely heartless (Angeliki Papoulia) by pretending to be a sociopath himself. Another guest (Ben Whishaw) forces nose bleeds upon himself to win over a young girl afflicted by chronic epistaxis. The hotel 'guests' are forced to endure demonstrations of the advantages of coupledom; one shows how a partner can perform the Heimlich should you choke on your food at dinner; a maid (Ariane Labed) grinds seductively on David's groin to the point of forcing an erection, but cruelly no further; David is forced to have one hand incapacitated to show how "two is always better than one". In the nearby woods lives a band of proud 'loners', a terrorist group intent on overthrowing the married status quo and inflicting singledom on their oppressors. In the movie's second half, David finds himself taken in by this group and falling for one of its members (Rachel Weisz, who at 45 appears to be aging backwards), an act punishable by extreme torture. It's testament to how twisted Lanthimos' comedy is that the biggest laugh out loud moment of The Lobster is a shot of the bloodied corpse of a previously cute and cuddly dog. His film is a throwback to a time when comedy and arthouse weren't mutually exclusive genres; the era of Bunuel, early Woody Allen, the BBC's Reginald Perrin, Monty Python and even the more esoteric sketches of British comic duo The Two Ronnies. Indeed, its gloomy Irish setting gives The Lobster the look of a 1970s BBC outdoor filming unit production, with the threat of rain constantly looming. 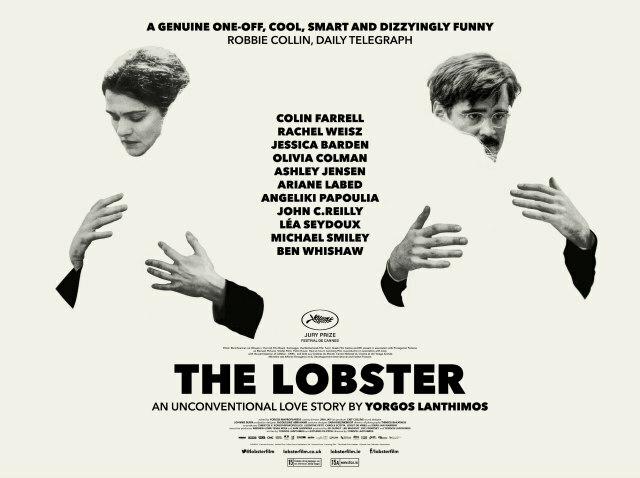 No doubt this brand of humour will prove impenetrable to some, and those lured in from the mainstream by the presence of household names like Farrell and Weisz will likely recoil at the darkness on display, but if you can tune into Lanthimos's nihilistic wavelength, this is a comic treat like few others in recent memory.